We are a society built upon traditions. Some traditions are cool and involve fireworks. Other traditions are more questionable and involve small-talk with your second cousins. Either way, we seem to do a lot of things simply because we happened to do that same thing at the same time last year. But what about when we don’t? What happens when a cherished event fades into nothing? In 2017, after scheduling the Titans and the Jaguars to face-off on Thursday Night Football for three consecutive seasons, the league office deprived us of the NFL’s most heated rivalry. Roger Goodell clearly has tried to pick up the pieces this year; yet, will a Marcus Mariota ($10,400) and Cody Kessler ($9,000) battle carry the same weight as Mariota’s high-pressure duels with Blake Bortles ($6,200)? Only time will tell. At least I can count on playing a few Showdown lineups to help ease the pain of memories gone by. In this article, I will outline the potential game script for the two possible outcomes of this matchup (we’re like Donovan McNabb here -— we don’t believe in ties). Based on these narratives, I’ll highlight the players who would stand to benefit from the events of the night going down in such a manner. After the hypothetical exercise, I’ll crown a winner, name a Captain’s Pick, and give some locks for the slate. Note: All salaries will be Flex prices unless noted as Captain’s Pick prices. Dede Westbrook, $10,200 Captain’s Pick, $6,800 Flex — With DJ Chark (quad) out and Keelan Cole having fallen out of favor, Westbrook and Donte Moncrief are solid at the top of Jacksonville’s WR totem pole. Cody Kessler targeted Westbrook five times on just 24 attempts last week for a nice 20.8 percent target share. — The Titans have covered the spread in each of their past six home games against AFC South opponents. — The Jaguars have failed to cover the spread in seven of their past eight games. — Each of the Titan’s past six night games have gone OVER the total points line. — Derrick Henry has scored a touchdown in each of the Titans’ past five games as home favorites against AFC South opponents. — Dede Westbrook has scored a touchdown in two of the Jaguars’ past three road games. Points are going to be at a premium in this matchup. Not only does the average Tennessee game end with only 38.8 combined points — the second-lowest mark in the league — but, the lone team trailing the Titans is the Jaguars, with their contests seeing just 37.2 points on a weekly basis. Still, even within that ugly structure, there is some reason to be optimistic about Mariota’s fantasy upside in this matchup. Going back to Week 7, the 2015 second-overall selection has put up some decent efficiency numbers, posting a 78.7 percent adjusted completion percentage and scoring 0.57 fantasy points per drop back. Now, these numbers might be difficult to maintain against a star-studded Jacksonville secondary, yet, good corners mean man-coverage and man-coverage means running lanes for QBs. While the Jaguars have allowed only four opposing quarterbacks to throw for over 250 yards this season, they’re surrendering the most rushing yards to the position per game (26.8). Josh Allen ran for 99 yards in Week 12; Dak Prescott went for 82 yards in Week 6; and Mariota produced his own season-high of 51 yards back in Week 3. It’s a nice floor to add to a pivot who has at least 22.0 DKFP in his past four full contests. Figuring out where Mariota will be throwing the football is a little more difficult. For their first nine games of 2018, it was pretty simple, there was Corey Davis ($8,400) and there was everyone else. However, Davis’ target share has steadily dropped across the past three weeks, with the 23-year-old seeing a mere 17.2 percent of the team’s passing volume. That fact, combined with the knowledge that Jaylen Ramsey more than likely will be shadowing Davis, is enough to keep me away from Tennessee’s leader in targets. That leaves Taywan Taylor ($5,200) and Tajae Sharpe ($4,600) as possible wide receiver stacking options with Mariota. Taylor seems like the clear choice from a recency bias perspective. The sophomore wideout hauled in three passes for 104 yards in a comeback victory over the Jets, yet he and Sharpe actually saw the same amount of targets (5) by game’s end, with Sharpe out-snapping Taylor 53-29. Still, Taylor’s aDOT on those opportunities was a whopping 29.8 yards — the highest of any of the 113 skill-position players who had more than four targets in Week 13. Considering neither player really has a floor, I’ll lean towards the upside of Taylor. As for tight ends, it remains Jonnu Smith ($5,000) well over Anthony Firkser ($4,000) in terms of raw snaps played; however, we might have a bit of a Tyler Higbee/Gerald Everett situation developing with the Titans. Despite being on the field for only 48 offensive plays over the past four weeks, Firkser has been targeted on 22.9 percent of those situations. Again, that’s not targets per route, that’s targets per snap. Smith, on the other hand, has seen more than three targets in a game on just a single occasion this season. Jacksonville’s allowing a microscopic 4.7 yards per attempt to the TE position across its past three games, so this debate might be worthless in the long run, but I’d rather save $1K with the rookie if forced to pick between the duo. Finally, for a squad that runs the ball 46.8 percent of the time, we get to the backfield. Maybe I’ve been putting off this discussion because it physically pains me to say positive things about Derrick Henry ($7,000), yet, I think he’s the RB to ride for Tennessee on Thursday. In terms of possible game script, Week 3’s 9-6 Titans victory over the Jaguars isn’t out of the question. As such, it’s crucial to note that in that contest Henry saw his highest snap share of the year (51.6 percent) along with a season-high in carries with 18. Honestly, his workload has been on the rise in recent weeks, anyway. That, coupled with the goal line monopoly — and the fact Dion Lewis’ ($7,400) efficiency statistics have been awful lately — gives me the push to endorse the Alabama product against Jacksonville. Let’s get this out of the way right off the top: The only “safe” play in this Week 14 matchup is Leonard Fournette ($12,000). Coming back from a one-game suspension, Fournette has been utilized by Jacksonville at an almost unrivaled capacity since returning from an injury that cost him most of the 2018 campaign. Since Week 10, Fournette has played 105 snaps in what essentially amounts to two-and-a-half games. Of those opportunities, the LSU product has received a carry or caught a pass 80 times. That’s right. Fournette has touched the football on more than three quarters of his snaps the past three weeks. I guess there can be some debate about whether or not it’s wise to spend 36.0 percent of your lineup’s possible salary on making Fournette a Captain’s Pick, but, even if it’s not at 1.5x value, you need to have the running back in your lineups Thursday night. If Fournette’s not at 100 percent ownership in all contests, something’s wrong. That’s not to say T.J. Yeldon ($6,400) and Fournette can’t co-exist, though. Prior to last week’s win over the Colts — a victory earned without the services of Fournette — Yeldon had seen his lowest snap shares of the season with both Fournette and Carlos Hyde ($2,200) active. Still, even while playing fewer than 30 offensive plays, Yeldon found himself involved in the gameplan, seeing 11 rushing attempts and 13 targets in limited action over than span. 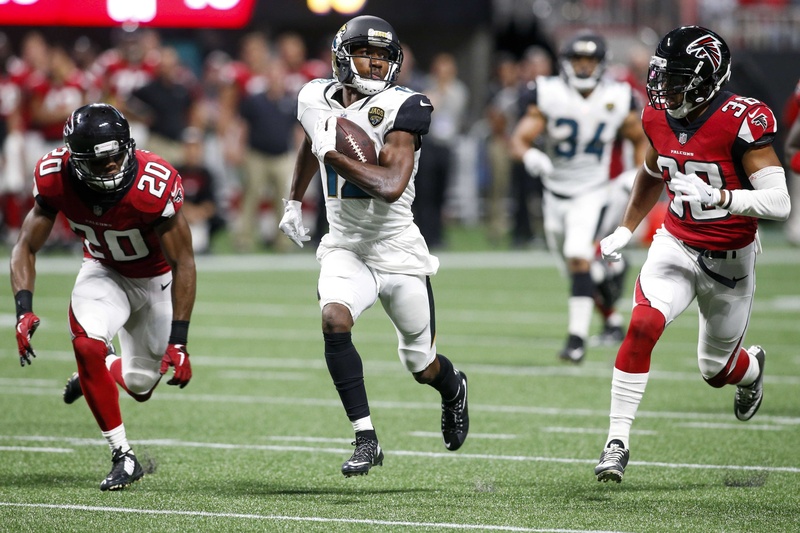 He remains the team leader in targets for the season (74), along with besting all other Jaguars in receiving touchdowns (4) and total yards from scrimmage (873). He also seems to have a connection with Kessler. Eleven of the QB’s 39 completions this year have gone to Yeldon, with the running back also hauling in his lone touchdown pass of 2018. It’s not the strongest narrative out there; however, Yeldon’s about as trustworthy on decreased snaps as any Jacksonville wide receiver has been all year long. Plus, as road underdogs, it’s Yeldon’s role that’s set to expand if the team gets put in an early hole. Speaking of that disappointing WR corps, is there anyone worth rostering between Dede Westbrook ($6,800) and Donte Moncrief ($5,600)? In a vacuum: no. Yet, on a one-game slate, with how much Tennessee has struggled containing opponent wide receivers, it’s likely in your best interest to get exposure to at least one of the two. In fact, according to Warren Sharp’s metrics over at Sharp Football Stats, no team has surrendered a higher success rate to opposing wideouts since Week 11 than the Titans’ secondary. For me, the tie-breaking factor comes down to specific cornerback matchups. Moncrief tends to operate outside the hashmarks; routes where he’ll be more likely to line up across from Malcolm Butler or Adoree’ Jackson. Westbrook, working mostly in the slot, will draw a whole lot of Logan Ryan — Tennessee’s top CB in 2018 if you’re going by yards or fantasy points surrendered per route covered. Really, it’s a crapshoot, and it also doesn’t hurt to save a few dollars if you’re looking to pay up for Fournette and Mariota. Lastly, I’d expect Jaguars DST ($5,800) to be another staple play on this slate. The recency bias is strong with this unit, as it’s coming off its best performance of the season in a shutout of Andrew Luck and the mighty Indianapolis offense, but the Titans’ offensive line issues are just as enticing. Tennessee is one of only four teams to have been sacked more than 40 times entering play in Week 14, with the Titans’ adjusted sack rate of 11.6 percent presenting itself as the worst figure in all of football. I have no problem using a defense — even both — in a contest featuring such a minuscule implied total. If it wasn’t apparent throughout the article, there’s not many players I trust in this matchup. Fournette ($18,000 CP) and Mariota ($15,600 CP) are easily the top options for use as a Captain’s Pick, but are justifiably priced as such. Even so, either is viable at 1.5x value, as is Jaguars DST ($8,700 CP) if you’re looking to lock down a more balanced lineup construction. It’s not going to be a pretty night of football, yet, I’d expect nothing different from these two organizations. 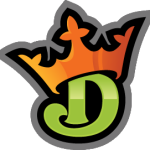 I am a promoter at DraftKings and am also an avid fan and user (my username is adamlevitan) and may sometimes play on my personal account in the games that I offer advice on. Although I have expressed my personal view on the games and strategies above, they do not necessarily reflect the view(s) of DraftKings and I may also deploy different players and strategies than what I recommend above. I am not an employee of DraftKings and do not have access to any non-public information.